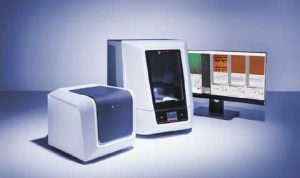 Following the recent launch of the Tosca™ 400 atomic force microscope, the leading scientific equipment manufacturing company Anton Paar announced the release of Tosca™ analysis software, based on Digital Surf’s Mountains® surface analysis technology. Specially designed for industrial users, the Tosca™ 400 comes with ToscaTM Control software for operating the AFM. Add to that new Tosca™ analysis software and users have a complete solution for complex nano-surface analysis in a variety of areas including characterization of semiconductor properties and investigation of polymer chains.